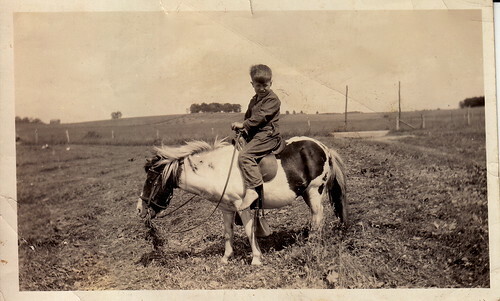 This is my grandfather, riding a pony on his parents' Ohio farm. At this point in his life, he's already getting drunk. Already dodging the physical and verbal abuse of his own father. He'll grow up to be a powerful, enigmatic man, full of charisma, but also cruelty. He'll write in his own journals about his cruelty to his own sons. Imagine your 6-year-old getting drunk behind the barn, shooting off guns.